Breakup/Breakdown by Charles Jensen is a slim and powerful chapbook of poems that not only examines the emotional side of breaking up but all of its practicalities in a way that’s fresh and modern. There are several poems in which the speaker is taking selfies with beloved literary and pop culture icons from Miss Havisham in Great Expectations to Molly Jensen from Ghost. In each of these poems, Jensen unravels the inner mysteries of loss felt by each of these characters. Havisham’s sadness over lost love is really her belief in true love and that caged birds set free will return but, in the meantime, she’s left wondering who she is without that caged bird to love and protect. The loss of an affair leads Alex in Fatal Attraction to extremes, but even if you don’t go to those extremes after a break-up, you can certainly understand where they come from. Jensen’s couplets are powerfully crafted so that readers will feel each gut-wrenching loss, like “Everything we’d placed//inside those years spilled out/like blood escaping from a vein.//” (pg. 13, “Disruption”) But lest you believe this collection is all sadness and woe, Jensen has a sense of humor about it all, which one might expect comes with a bit of distance from the actual breakup events. untwirling at the end of a long day. Yes, I’m leaving you hanging with the above quote from this poem, but it’s one I don’t want to ruin for you. What the selected quote shows you is the humor and the lightness that Jensen brings to his couplets even in the midst of a breakup moment. There’s something to be said about bringing a bit of levity to loss. Breakup/Breakdown by Charles Jensen is a commentary on the modern breakup and the swiftness of it, which can leave each of us stunned and empty. But what it teaches is resilience and growth, a move toward letting go, even if not complete. In order for new things to begin, the old must be broken down, and Jensen does that here with aplomb. Charles Jensen is the author of The Nanopedia Quick-Reference Pocket Lexicon of Contemporary American Culture (2012 MiPOESIAS Chapbook Series) and The First Risk, which was published in 2009 by Lethe Press and was a finalist for the 2010 Lambda Literary Award. His previous chapbooks include Living Things, which won the 2006 Frank O’Hara Chapbook Award, and The Strange Case of Maribel Dixon (New Michigan Press, 2007). A past recipient of an Artist’s Project Grant from the Arizona Commission on the Arts, his poetry has appeared in Bloom, Columbia Poetry Review, Copper Nickel, Field, The Journal, New England Review, and Prairie Schooner. 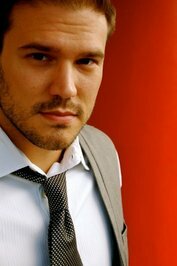 He holds an MFA in poetry from Arizona State University, where he also did graduate work in nonprofit leadership and management. He is the founding editor of the online poetry magazine LOCUSPOINT, which explores creative work on a city-by-city basis, and is active in the national arts community by serving on the Emerging Leader Council of Americans for the Arts. He lives in Los Angeles. 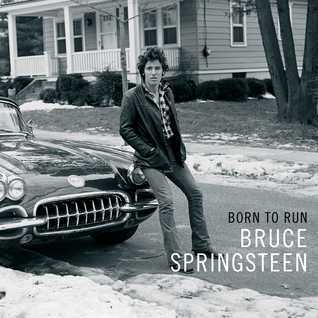 Born to Run by Bruce Springsteen, which I purchased from Audible.